Learn about this wild flower known as Queen Anne’s Lace, it’s history and the difference between it and some other dangerous look alikes. I seems like everywhere I go lately I notice Queen Anne’s Lace. This delicate wildflower is growing everywhere in Pennsylvania, and I was surprised to see in all along our route to Virginia Beach, through West Virginia and Maryland too. I’ve always thought of it as a native but apparently it originated in Europe. Somewhere along the way I remembered a tale about the origins of the name “Queen Anne’s Lace.” I think it was Mother Nature, a wonderful woman from girl scout camp, who told us all kinds of stories about plant folklore. According to her, Queen Anne pricked her finger with a needle while making lace, and if you look close you will see what looks like a drop of blood, in the middle of the lacy flower. Queen Anne’s Lace or Daucus carota, is also known as wild carrot, because it was once used as a substitute for carrots. Some say that the carrots which we grow today were originally cultivated by this species. I also remember as a child that we would pull the plant out of the ground to “see the carrot.” It remember that it smelled just like a carrot but it looked odd and was covered in dirt so I never actually tasted it. Another common name for this plant is “bird’s nest“, due to its nest-like appearance when the flower curls up as it goes to seed. I like to pick Queen Anne’s lace for flower arrangements. The cut flower will last for several days and the white color and lacy shape pairs well with many other flowers. It even works well on its own. A word of caution, while I was writing this post I found several articles mentioning the danger of mistaking this harmless, though maybe somewhat invasive plant, with similar looking plants. One most notably is Poison Hemlock or Conium maculatum. Poison Hemlock as the name suggest, is deadly and many people have died after eating what they thought was a wild carrot. Caution: Never try eating something in the wild unless you are absolutely sure you know what it is. Another similar looking plant is Giant Hogweed or Heracleum mantegazzianum. This highly toxic lacy white plant will burn your skins causing blisters, and may cause blindness if the sap touches the eye. Of course, as the name suggests, Giant Hogweed grows about 8 feet tall with Queen Anne’s lace only about half that height. Caution: Always be careful when dealing with plants in the wild. Be careful picking this in the wild. I got some roadside and took home, WAS FULL of Chiggers. I scratched for a week. Oh my. I hope you are feeling better. I have never heard of Queen Anne’s Lace jelly but it sounds really interesting. Tea from the flowers too? Thanks for sharing this information. I will definitely have to look into it! It’s considered a weed here in Canada. But I know my cousins grow it in England. I’ve always wanted to dig up a clump and put it into a border. I think they’re so lovely. I think many people think if it as a weed here too. I sure grows like one. I haven’t tried to grow it but this summer I really enjoyed seeing it every where. I bet your cousins have a beautiful garden in England. My sister lived there for a short while and we went to visit. Such a beautiful place. Flowers everywhere! 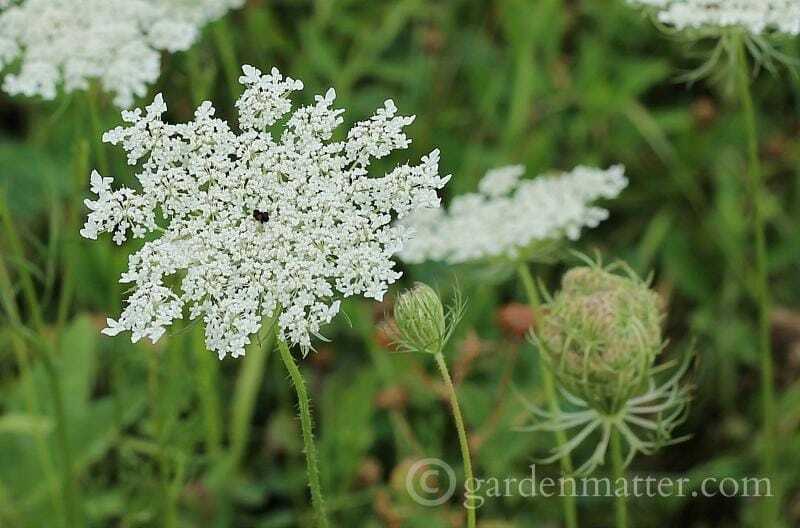 We also havequeen annes lace,it Is termed a weed here, I keep a few growing, you can dry the flower,and makes a really beautiful snow flake or whatever! A friend took the flower and died sheep wool with it it came out a really Georges yellow green. Great ideas. I love the idea of using it to dye wool. Thanks for the info!